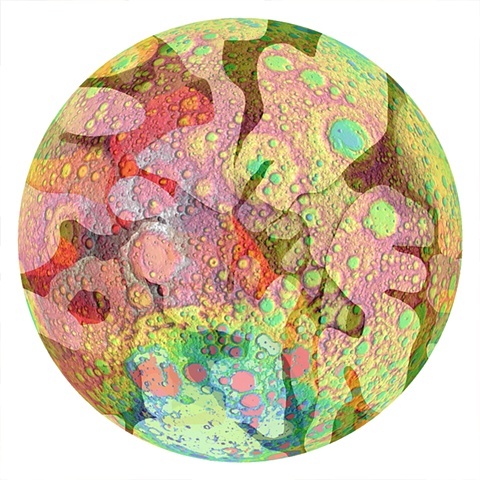 Whether looking through the lens of a telescope or a microscope there is a sense of wonderment in that glimpse of another world. 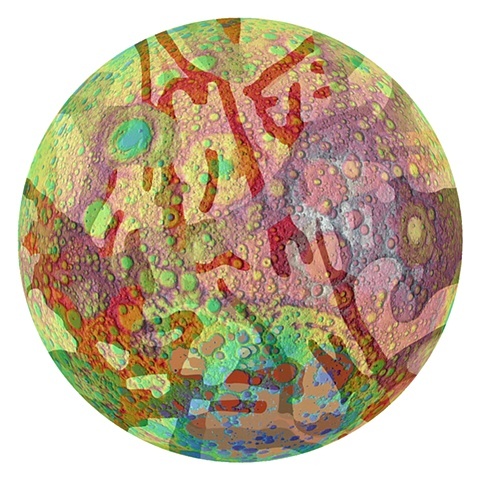 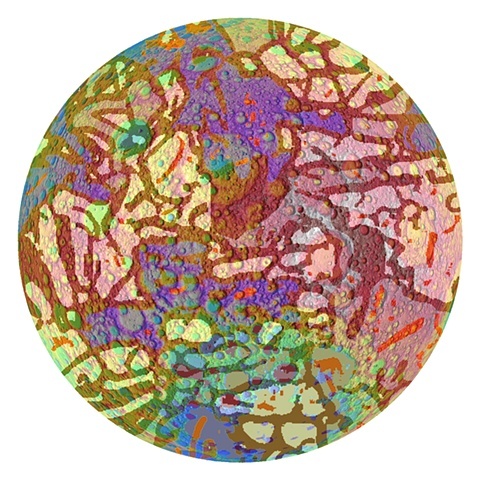 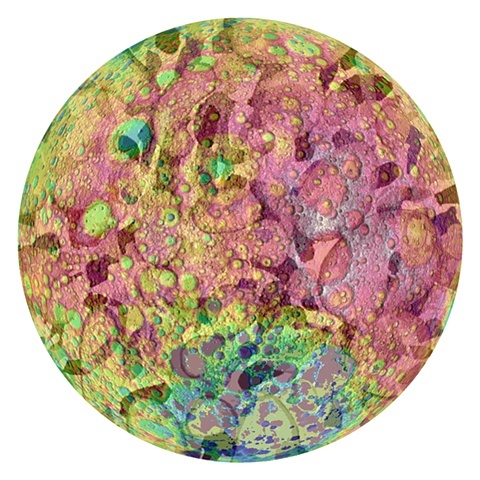 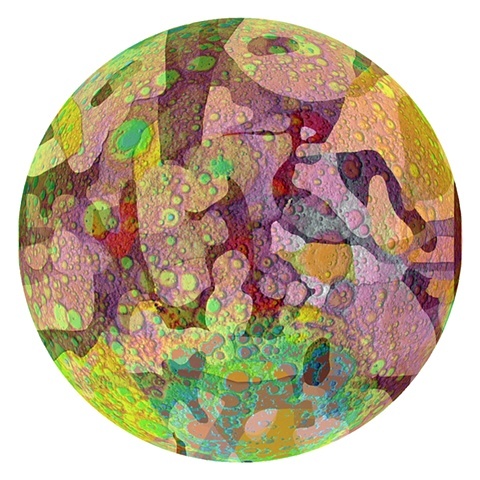 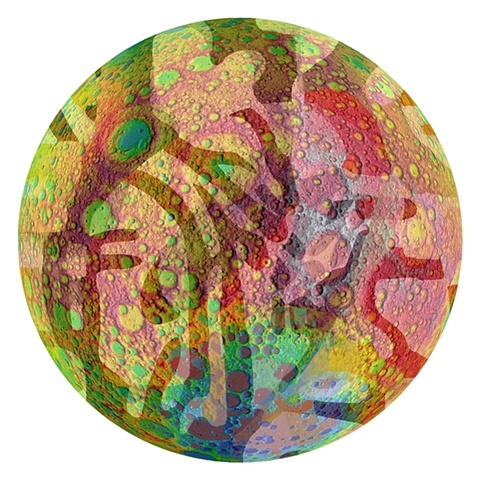 This series of digital prints layers images from the camouflage paintings with images from the 1994 Clementine lunar mission. 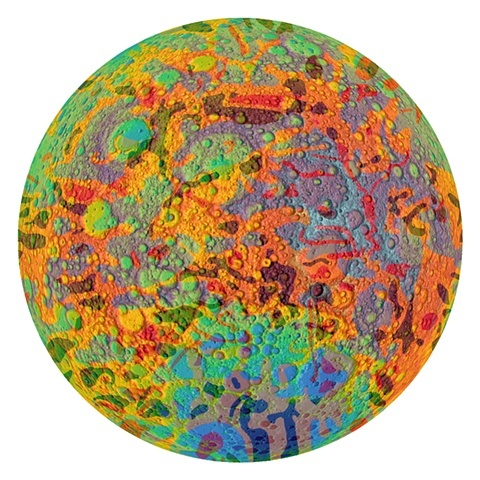 The small circular disks of saturated hues float on a pristine white ground and suggest a view through an aperture or into a petri dish.